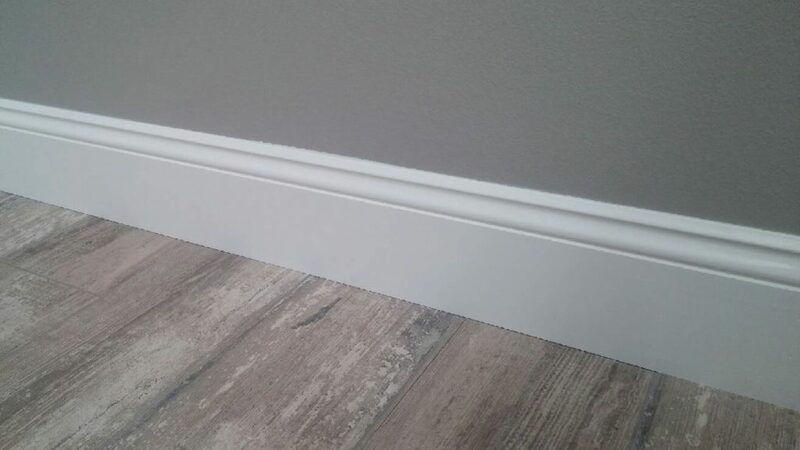 Traditionally in almost every house people use baseboards to cover the joints between the interior wall surface and uneven edge of flooring next to the wall. Baseboard installation is the easiest and the most common way to conceal flooring imperfections in the hardwood, laminate or carpet, to mask cutting details of paper or paint, to protect the wall against kicks, scuff marks, abrasion, foot traffic and furniture movement. Moreover, baseboards serve for decoration purpose as well as they are a visual link that travels into every room in the house. So, baseboard installation can have a dramatic effect to the décor, imbue your walls with refinement and elegance and give them a fresh boost. Moreover, getting scuffed and dirtied very quickly in most cases, baseboards require renovation, usually a fresh coat of paint, every few years. What Kind of Baseboards Can We Suggest? Baseboards are offered in various materials: wood, MDF, stucco mould, PVC, stainless steel, – the choice will greatly depend on your budget. They are produced in a variety of lengths, from 12 to 16 inches and can be customized to fit your home’s décor. What is more, the combination of choices in style and cuts, omitting mention of options in colours, sizes is almost endless. Besides, they are often installed together with crown moulding or wainscoting. No matter what combination or kind of baseboard you have chosen, you will get the best of possible options as our company deals only with manufacturers who offer products of the highest quality. And plus, our baseboards are primed and ready to be painted any colour you choose. House Renovations company provides cost-effective baseboard and moulding installation in Toronto, the GTA and surrounding areas. Probably you know that DIY process of measuring and fitting of baseboards can be risky and tricky because of improper measurements, shoddy carpentry and ill-fitting joints. This is the main reason why we always recommend our customers to hire an efficient professional for baseboard moulding installation. Since House Renovations company produces the parts for your baseboards in the shop, we can offer you first-class skilled performance than any store-bought baseboard of the wooden fixture, along with seamless and easy baseboard moulding installation. Baseboard installation can be very quick and simple procedure if you hire our specialist. If you think about replacing of your old baseboards or just updating the look of existing ones, we are at your service, as our team also specializes in an application of a decorative moulding to the top and all kinds of baseboards, trims and mouldings. We are ready to assist you in incredible renovation of your interior.